Dealing with local social services can be very difficult when one doesn't speak Greek. We offer assistance in these situations, either with legal documents or the acquisition of any type of permit(residency, marriage, etc). You may prefer local press or radio to get everyone to your shop, there's also the option of fliers or even get your business included on the brand new I Love Skiathos brochure. Let us design a website for your business with full S.E.O. and all the latest state of the art features. What to do? Where to go? And how to get there? Everything you need to know to get the best out of your time on our beautiful island. A couple of weeks not enough of a vacation? Why not stay a little longer? Anything from one bedroom apartments in the center of the town to luxurious beach houses could be yours. Take a look at what kind property is available both for sale and for rent. The most special day of your life deserves to be spent in the most special surroundings. 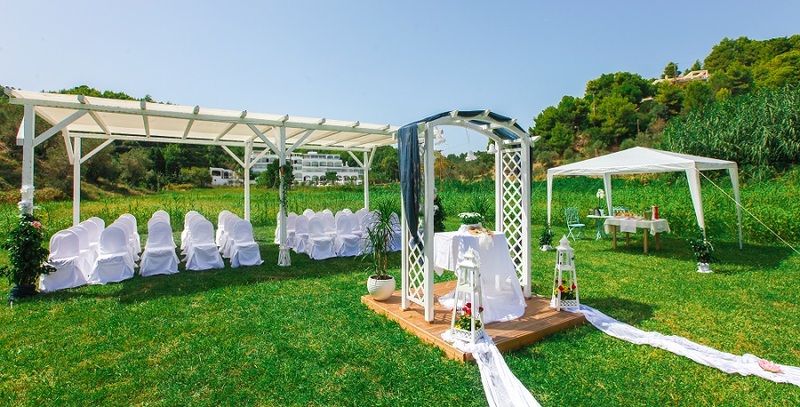 Have your wedding take place on one of the beautiful sandy beaches of Skiathos Island, a picturesque chapel overlooking the Aegean Sea or even on a beautiful sailing boat.